Since the 1960s, Americans have been obsessed with cutting all fat out of our diets. In that same time frame, rates of obesity and diabetes skyrocketed across all socioeconomic groups. How is it possible that reducing fat intake coincided with a 300% rise in obesity and a 700% increase in diabetes? 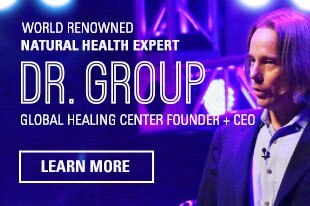 [1, 2] It’s almost as if we’ve been completely wrong about fat and its role in nutrition this entire time. Many readers have no doubt tried a low-fat diet and experienced mixed results. Maybe it didn't work at all. Maybe you lost a couple of pounds, only to have them quickly return — with a few unwelcome friends. The diet may have even made you sick. Most people eventually slip and abandon the diet, but even when followed obsessively, low-fat diets don’t work. That’s because it’s not fats that make people fat, or at least it’s not only fats. It’s sugar that actually triggers fat storage in the body. After you absorb sugar from your digestive system, it’s released into your bloodstream in the form of glucose. High blood sugar causes your pancreas to release insulin, which instructs fat cells to absorb excess glucose and convert it into more fat. Conversely, fats, or at least certain types of fats, are not only healthy, but they are essential for your health. In our haste to banish all fats from our diets, we tossed out the good with the bad and paid a hefty price for it. The truth is that the avoidance of all fats is making us sick and affecting our quality of life. Unfortunately, the demonization of fats is deeply embedded in the public consciousness. So how did we end up this way? The story could be straight out of a bad conspiracy novel. In the 1960s, research began emerging about the link between refined sugar and heart disease. Desperate to keep this quiet, a lobbying group for the sugar industry called the Sugar Research Foundation (SRF) began paying off scientists to shift the blame to fat instead. This isn’t paranoid rambling; recently leaked documents have made this a matter of public record. A 2016 article in the peer-reviewed medical journal JAMA Internal Medicine analyzed these documents and came to some startling revelations. In 1965, the SRF funded a literature review that was published in the New England Journal of Medicine. Even though the SRF paid for the review, set its objectives, decided which studies could be included, and had final say on drafts, their sponsorship was not disclosed — a conflict of interest that borders on criminal. Unsurprisingly, the review paid for by the sugar industry claimed that Americans should eat more sugar. The study outright dismissed substantial evidence tying refined sugar to heart disease, blaming the increased rates on fat. What’s worse, this shaky science soon became public policy. In 1976, the U.S. Senate held the “Diet Related to Killer Diseases” hearings, in which they discussed dietary guidelines. The government concluded that Americans needed to reduce a number of saturated fats in their diets. Limiting saturated fats is a good idea, but the new guidelines didn’t make strong enough distinctions between the different types of fat. All the public understood was “fat = bad.” Since then, with encouragement from advertising and media, we’ve had a cultural obsession with cutting all fats from our diet, even the ones our bodies need to stay healthy. We took it too far, and it’s lead to 50 years of replacing essential nutrients with empty calories. It turns out that when you take all the fat from some foods, you also remove a lot of the flavor. To counteract blandness, “reduced fat” foods started replacing the fats with sugar. It was a major win for the sugar industry. Instead of having the health dangers of refined sugar exposed, they managed to shovel more of their toxic product down our throats than ever before. The low-fat diet push has been a complete, unmitigated fiasco. Rates of diabetes and obesity in this country have exploded at a rate far faster than population growth alone can account for. In 1958, just over 1.5 million Americans had diabetes. As of 2014, that number had skyrocketed to over 22 million! That means that in just over 50 years, the percentage of Americans with diabetes septupled from under 1% to over 7%. Likewise, our obesity rates have nearly tripled since the 1960s, and one in every four deaths in this country is now due to heart disease. [1, 6] Clearly, we’ve been doing something terribly wrong. Every cell in your body needs some fat. It’s used to build cell membranes and coat nerves. Essential fats are necessary for energy, blood clotting, and muscle movement. Some fats contain potent antioxidants that help scavenge free radicals and repair oxidative damage. They ease inflammation, promote healthy cholesterol levels, and help maintain heart health. Essential fats also play a crucial role in brain health — about 60% of your brain is made of fat. [8, 10] So remember, if anyone ever calls you a “fathead,” it’s technically not an insult, it’s scientifically accurate. Fats are also a crucial part of nutrient absorption. Certain vitamins, like vitamin A, D, E, and K, are fat-soluble vitamins. That means that your body can only absorb these nutrients from the digestive system if you eat them with fats. Higher fat content in the food you eat makes fat-soluble nutrients more bioavailable. Without fat in your diet, you cannot properly absorb these vital nutrients, leading to vitamin deficiencies. Vitamin A is crucial for metabolism and development, while the benefits of vitamin E include antioxidant activity and immune health. Vitamin D deficiency is associated with impaired bone health, and a lack of vitamin K can inhibit your blood’s ability to clot. Now let’s be clear. The need for dietary fats is not an excuse to load up on pizza, burgers, and bacon. That’s going too far in the opposite direction. There’s a right way to do this. There are several different kinds of fats — some good, some bad, some in between. Some fats are healthy when enjoyed in moderation, but harmful when consumed in excess. Let’s take a closer look. The 2015-2020 Dietary Guidelines for Americans recommends that you keep your fat intake between 25-35% of your total calories. The majority of these should be healthy unsaturated fats. Unsaturated fats are usually liquid at room temperature and mostly come from plant sources and fish. 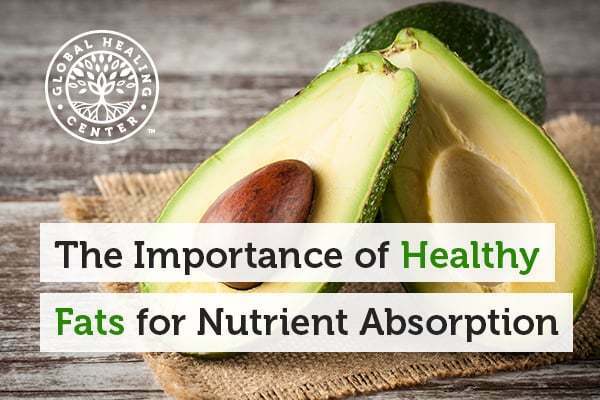 There are two main categories of these healthy fats, monounsaturated and polyunsaturated. Monounsaturated fats are healthy fats that are liquid at room temperature but solidify when refrigerated. They are most prevalent in nuts and high-fat fruits like avocados and olives. Unsaturated fats can also help maintain healthy cholesterol levels. Like fats, not all cholesterol your body produces is bad. Low-density lipoprotein (LDL) is the “bad” cholesterol that contributes to arterial plaque, heart disease, and stroke. High-density lipoprotein (HDL), is “good” cholesterol. HDL removes LDL cholesterol from your blood and helps flush it from your system through your liver. Monounsaturated fats help by lowering LDL cholesterol while raising HDL. Polyunsaturated fats are essential fats. We call them essential because they are necessary for human health, but your body cannot synthesize them on its own. You must get them from food. Polyunsaturated fats help stimulate skin and hair growth, maintain bone health, regulate metabolism, and maintain the reproductive system. There are two main types of polyunsaturated fats. You’ve probably heard of them: omega-6 and omega-3 fatty acids. Omega-6 fatty acids play an important role in brain function and normal growth and development. One essential omega-6 is linoleic acid, which our bodies use to make the lipids that make up our cell membranes. Omega-3s promote heart health and help maintain blood vessels in the brain. Alpha-linolenic acid (ALA) is an essential omega-3 found in plants and a major cardioprotective nutrient. Saturated fats are solid at room temperature and very common in the average American diet. They’re found in red meat, dairy products, and baked goods. Some types of saturated fat are healthier than others, but most Americans already get far too much of the bad kinds in their diets. One type of fat you must avoid completely is trans fat, also known as trans fatty acids. While some very small amounts of trans fatty acids are found in nature, dietary trans fats are an entirely human-made substance. Trans fats are what you get when you take vegetable oils and heat them in the presence of hydrogen and a toxic metal catalyst such as palladium. This process causes hydrogen atoms to bond with the carbon in the oil, turning it from liquid to solid. Unlike essential fats, trans fats are nothing more than empty calories and provide no nutritional benefits. Quite the opposite, in fact. A diet high in trans fats contributes to heart disease, colon cancer, breast cancer, pregnancy complications, allergies, obesity, vision disturbances in infants, and disorders of the nervous system. Trans fats increase inflammation and LDL (bad) cholesterol. They compromise insulin sensitivity, increasing the risk of diabetes. There is no safe level of consumption; for every 2% of total calories consumed as trans fats, your risk of heart disease rises by 23%. Fortunately, there is good news. In 2015, the U.S. followed the lead of many other countries when the FDA banned all trans fats in the American food supply following a three-year grace period. That means that after 2018, food companies can no longer add trans fats to any foods prepared in the United States. 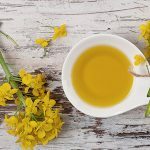 So now that we know which fats to avoid and which to embrace (in moderation, of course), where do we find the good fats? Here are a few of the very best food sources of healthy fats. Avocados are currently surfing a surging wave of popularity. America is obsessed with them, and with good reason, avocados truly are a miracle fruit. Avocado benefits include a high density of unsaturated fats, especially monounsaturated fats. Guac isn’t the only way you can consume avocados. Try avocado oil, which is made up of 71% monounsaturated fatty acids and 13% polyunsaturated fat. It has dozens of uses. You can use it for cooking, baking, as a salad dressing, or as a butter substitute on popcorn. Just make sure you use organic, GMO-free popcorn! 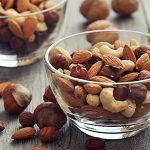 A diet high in nuts is linked with longevity and a reduced risk of heart disease. Depending on the type of nut, one ounce contains between 13 to 20 grams of mostly unsaturated fat. Nuts also give you a healthy dose of vitamin E and, like all plant-based foods, are naturally cholesterol-free. Walnuts, in particular, make an excellent choice for a snack. High in polyunsaturated fats, they can help promote healthy blood lipids. Try fresh, unrefined walnut oil. It doesn’t hold up well to high-temperature cooking, but it adds a great nutty flavor to cold dishes and salad dressings. The benefits of coconut oil are well known. What may surprise you is that coconut oil is very high in saturated fat. In fact, coconut oil is about 90% saturated fat — a higher percentage than butter! But don’t give up hope, yet. About half of the saturated fat in coconut oil is of a type called lauric acid. Likely because of its unique molecular structure, coconut oil boosts beneficial HDL cholesterol. Saturated fats should be consumed sparingly, but coconut oil is a much healthier source than many others. Use it as a substitution for butter or dangerous trans fats like vegetable shortening. As it’s solid at room temperature, coconut oil works well in pie crusts and other recipes that need a solid fat. Coconut oil may be liquid if it’s particularly warm in your house, but you can easily solidify it in the refrigerator. Be careful when purchasing olive oils. There are a lot of fake extra virgin olive oils on the shelf of your local supermarket. These are blended with lesser oils or not made to full extra virgin standards. Look for a seal of certification from either the International Olive Oil Council (IOOC) or the California Olive Oil Council (COOC) on the bottle to ensure a quality product. While we at Global Healing Center do advocate a fully vegan diet, we realize that this lifestyle isn’t for everyone. If you are going to consume dairy anyway, skip the skim and get full-fat versions of dairy products. Full-fat helps you feel fuller longer, and the fatty acids can help promote healthy body weight. The healthiest dairy appears to be full-fat Greek yogurt, but be wary of any overstated benefits of butter. While new research indicates that full-fat dairy does not increase the risk of heart disease, it does nothing to decrease it either. Spirulina, also known as blue-green algae, is already a favorite nutritional supplement for many people. It’s a rich source of protein, antioxidants, B-complex vitamins, vitamin E, manganese, zinc, copper, iron, and selenium. It also contains an essential omega-6 fatty acid called gamma linolenic acid. 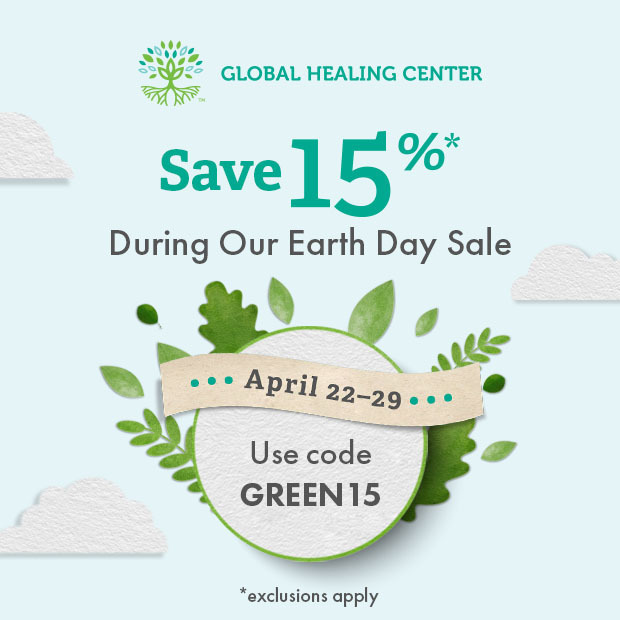 Blue-green algae has the potential to be contaminated with toxic metals or microcystins, so be sure to only get your spirulina from a reputable source. Rejoice, chocolate lovers! Cocoa contains two fatty acids — stearic and oleic. Stearic acid is a type of saturated fat but does not seem to raise LDL cholesterol levels. Oleic acid is a monounsaturated fat that actively reduces bad cholesterol. When consuming chocolate, darker is better. Cacao contains all the nutrients as well as beneficial phytochemicals called flavonoids. Milk chocolate has only a tiny fraction of the cacao present in dark, and it’s completely absent in white chocolate. So skip the milk and white chocolate, and look for 70-85% cacao. Even then, remember to enjoy dark chocolate in moderation, as it still contains sugar. I recommend no more than seven ounces of dark chocolate per week. Despite its clear and complete failure, we’re not likely to see the low-fat diet craze go away anytime soon. After decades of reinforcement from media and advertising, the message, fictional as it is, is too deeply implanted in the public consciousness to reject easily. Billboards, commercials, inserts, and pop-up ads will continue to insist you should buy nonfat, nondairy creamer and fat-free, chemical-laden potato chips. Ultimately, the true secret to health is never “just do this one thing, and everything will be perfect forever.” Good health is about making intelligent, informed decisions every day. 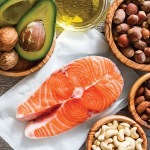 Healthy fats are just one part of a balanced nutritional plan, which itself must be combined with exercise, detox, a clean living space, stress management, rest, and dozens of other factors to maximize your ability to lead a happy, healthy life. "Obesity Rates Continue to Climb in the United States." Johns Hopkins Bloomberg School of Public Health. Johns Hopkins University, 10 July 2007. Web. 24 Apr. 2017. "Long-Term Trends in Diabetes." Centers for Disease Control and Prevention. U.S. Department of Health & Human Services, Apr. 2016. Web. 24 Apr. 2017. "NIH Study Shows How Insulin Stimulates Fat Cells to Take in Glucose." National Institutes of Health. U.S. Department of Health and Human Services, 07 Sept. 2010. Web. 24 Apr. 2017. Kearns, Cristin E., Laura A. Schmidt, and Stanton A. Glantz. "Sugar Industry and Coronary Heart Disease Research: A Historical Analysis of Internal Industry Documents." JAMA Internal Medicine 176.11 (2016): 1680. Web. 24 Apr. 2017. Oppenheimer, Gerald M., and I. Daniel Benrubi. "McGovern’s Senate Select Committee on Nutrition and Human Needs Versus the: Meat Industry on the Diet-Heart Question (1976–1977)." American Journal of Public Health 104.1 (2014): 59–69. Web. 24 Apr. 2017. "Heart Disease Facts." Centers for Disease Control and Prevention. U.S. Department of Health & Human Services, n.d. Web. 24 Apr. 2017. "The Truth about Fats: The Good, the Bad, and the In-between." Harvard Health. Harvard University, Aug. 2015. Web. 24 Apr. 2017. "Omega-3 Fatty Acids." University of Maryland Medical Center. University of Maryland Medical Center, 5 Aug. 2015. Web. 24 Apr. 2017. "Types of Fat." Harvard T.H. Chan School of Public Health. The President and Fellows of Harvard College, n.d. Web. 24 Apr. 2017. Chang, C. Y., D. S. Ke, and J. Y. Chen. "Essential Fatty Acids and Human Brain." Acta Neurologica Taiwanica. U.S. National Library of Medicine, Dec. 2009. Web. 05 May 2017. Albahrani, Ali A., and Ronda F. Greaves. "Fat-Soluble Vitamins: Clinical Indications and Current Challenges for Chromatographic Measurement." The Clinical Biochemist Reviews 37.1 (2016): 27–47. Print. "Dietary Guidelines for Americans 2015–2020 8th Edition." 2015-2020 Dietary Guidelines. The Office of Disease Prevention and Health Promotion, n.d. Web. 05 May 2017. "LDL and HDL: ‘Bad’ and ‘Good’ Cholesterol." Centers for Disease Control and Prevention. U.S. Department of Health & Human Services, n.d. Web. 24 Apr. 2017. Ehrlich, Steven D. "Omega-6 Fatty Acids." University of Maryland Medical Center. University of Maryland Medical Center, 5 Aug. 2015. Web. 24 Apr. 2017. Lorgeril, M. De, and P. Salen. "Alpha-linolenic Acid and Coronary Heart Disease." Nutrition, Metabolism and Cardiovascular Diseases 14.3 (2004): 162-69. Web. 24 Apr. 2017. Dhaka, Vandana, et al. "Trans Fats—Sources, Health Risks and Alternative Approach - A Review." Journal of food science and technology 48.5 (2011): 534–541.Web. 24 Apr. 2017. Welch-Bezemek, Mary. "The Many Health Benefits of the Avocado." University of California Cooperative Extension. Regents of the University of California, 9 July 2015. Web. 24 Apr. 2017. "Nut Butters" Food Source Information. Food Source Information - Colorado, n.d. Web. 24 Apr. 2017. Banel, Deirdre K., and Frank B. Hu. "Effects of Walnut Consumption on Blood Lipids and Other Cardiovascular Risk Factors: A Meta-Analysis and Systematic Review." The American Journal of Clinical Nutrition 90.1 (2009): 56–63. PMC. Web. 24 Apr. 2017. Willett, Walter C., M.D. "Ask the Doctor: Coconut Oil." Harvard Health. Harvard University, 18 Mar. 2016. Web. 24 Apr. 2017. Moreno-Luna, Rafael, et al. 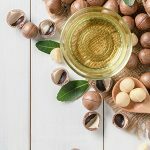 "Olive Oil Polyphenols Decrease Blood Pressure and Improve Endothelial Function in Young Women with Mild Hypertension." American Journal of Hypertension 25.12 (2012): 1299-304. Web. 24 Apr. 2017. Higdon, Jane, et al. "Essential Fatty Acids." Linus Pauling Institute. Linus Pauling Institute, May 2014. Web. 24 Apr. 2017. Publications, Harvard Health. "Is Extra-virgin Olive Oil Extra Healthy?" Harvard Health Publications. Harvard University, Dec. 2013. Web. 24 Apr. 2017. "Full-fat Dairy May Reduce Obesity Risk." Harvard T.H. Chan School of Public Health. Harvard University, n.d. Web. 24 Apr. 2017. "Study Sheds Light on Dairy Fat and Cardiovascular Disease Risk." Harvard T.H. Chan School of Public Health. Harvard University, n.d. Web. 24 Apr. 2017. Heather McCless. "The Perfect Seed: Why Everyone Should Add Pumpkin Seeds to Their Diet." "Healing Foods Pyramid." The University of Michigan Health System. Regents of the University of Michigan. Web. 24 Apr. 2017.